Kevin who? We didn’t know either; not until we went to see another band perform! If you like live music and have spent any significant amount of time in So Cal we’re sure you’ve been to Saint Rocke and know the set up. Kevin was solo on stage for his entire set – drumming a bass line using the body of his guitar then looping it while he laid down some keys and rhythm guitar – showing his true talent, and it didn’t end there as his songs progressed so did his skill. Impressive guitar riffs, seamless transitions into classic west coast hip hop tracks then back to his original stuff. All the while bobbing and smiling away as he just had fun on stage, looking as if he was completely and perfectly content just being there in that current moment, and he was. At one point he took out his iPhone and began using it as a slide, it was clear this guy enjoys himself on stage – he was in his element. Not that we didn’t enjoy Sashamon, but Kevin Miso definitely stole the show, in our opinion. Kevin was musically influenced at a young age, “I remember seeing my Dad’s acoustic guitar leaning against the couch…thinking ‘I wanna learn how to play that’. That was seriously it.” His musical start actually came on the drums at age 7, and at age 9 on the piano, not finding the guitar till middle school. But it wasn’t until he started traveling during college when the guitar “became [his] faithful travel companion” being so easy to pack along. “Some people have journals, I had my guitar. Plus it brought people together so easily!” he added, another reflection of Kevin’s positive personality, and thirst to entertain. Kevin gets specific with just what traits from certain artists influence him - such as; Paul Simon’s songwriting and arrangements, Kris Kristofferson’s imagery, Jack Johnson simplicity, Derek Trucks’ guitar playing, Jay-Z’s delivery, and Tupac’s conviction are just the tip of the iceberg. Noting that Bob Marley is an “enormous influence” on him from a musician and lyrical perspective. - That’s not weird at all, dude. We Yoga too, we’re cool with it. 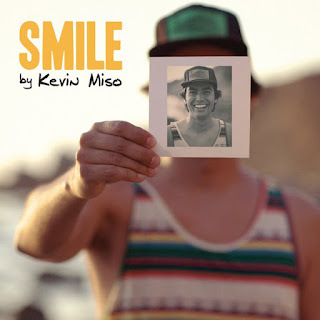 It seems as those these bro trips will have to be put on hold for the time being though as Kevin is planning on releasing a new full length album this year – currently with 2 EPs on the market (available on iTunes “Kevin Miso”, and “Smile”). 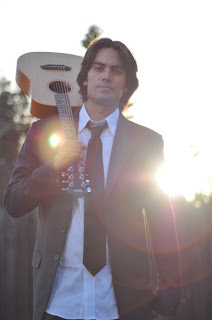 Be sure to check his website for album release dates and live shows. So there you have it. Kevin Miso. I guess the one knock we have is that his social networking skills are “weak sauce” (he said it, not us). So do us a favor, “like” his facebook page (enter fb page) and follow him on twitter (enter twitter handle) - While Kevin is still living in the 90’s claiming “word of mouth is still king” (which is totally cool, man) tweets may be sparse but that just makes them all the more special when they appear. Lastly, if you have the chance to see KM live, do so. We’re sure you’ll enjoy yourself and if you do, go let him know as he’ll most likely be mingling, bevy in hand, after the show – Thanks for your time Kev. Good luck with everything and we’re looking forward to the new album.